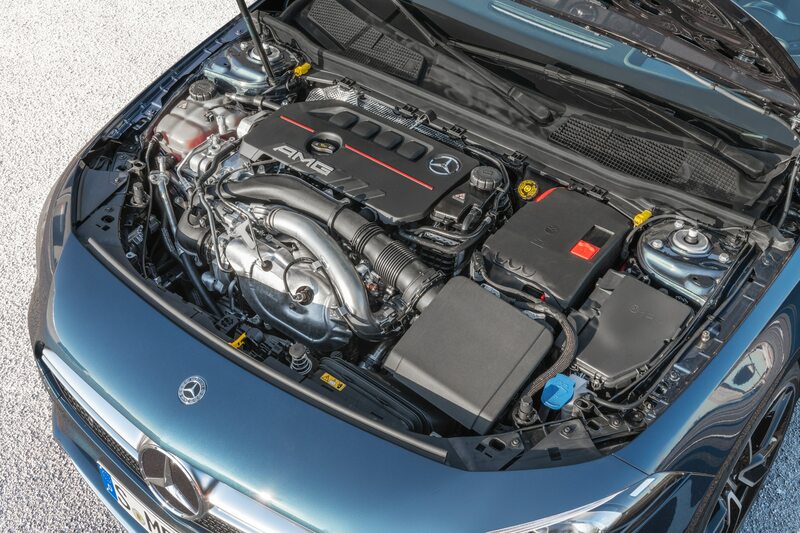 A 302-hp, 295-lb-ft ball of fury—and one more stepping stone on the way to the A45. 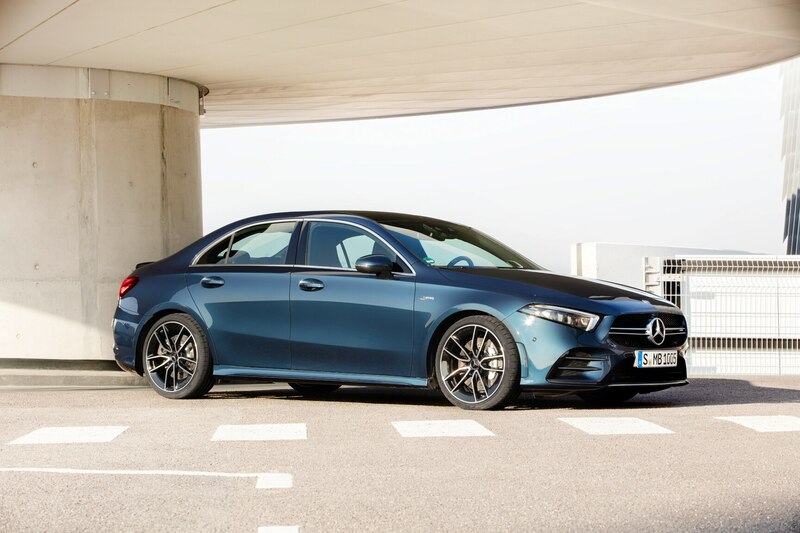 While we won’t pretend the hatchback version of the new Mercedes-AMG A35 wouldn’t be our first choice, the freshly unveiled sedan model we will get later this year is pretty awesome in its own right. 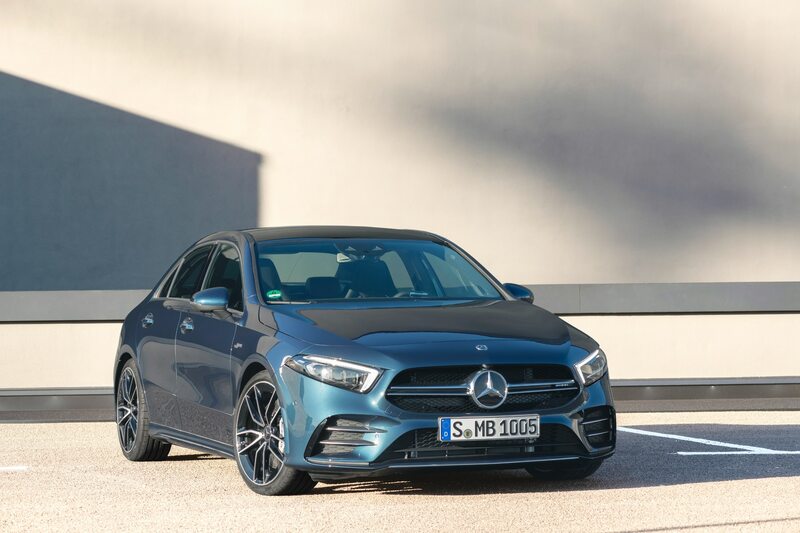 Both look fantastic and they share the same mechanicals, including an uprated version of the A220’s turbocharged 2.0-liter four-cylinder engine now making a stout 302 horsepower and 295 lb-ft of torque—big increases over our regular A-class’s 188 horses and 221 lb-ft. 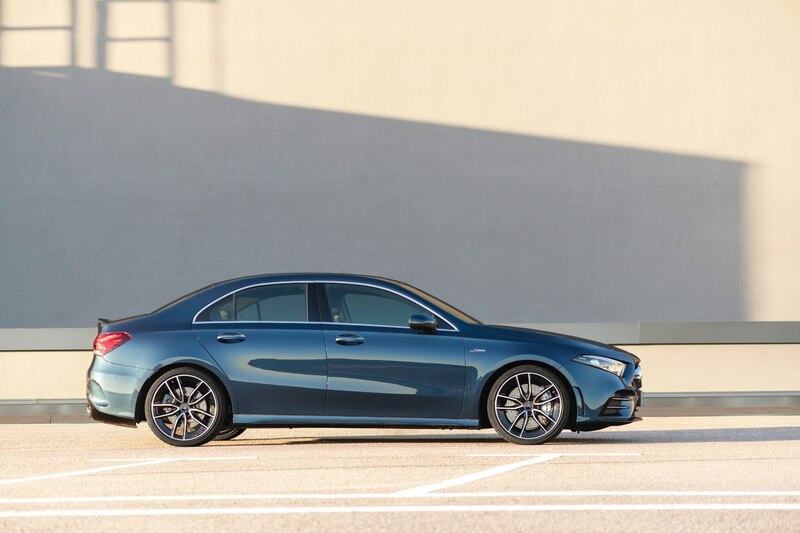 The A35 represents the middle child in the eventual A-class lineup, with a beastly A45 on its way and reportedly making as much as 416 horsepower. 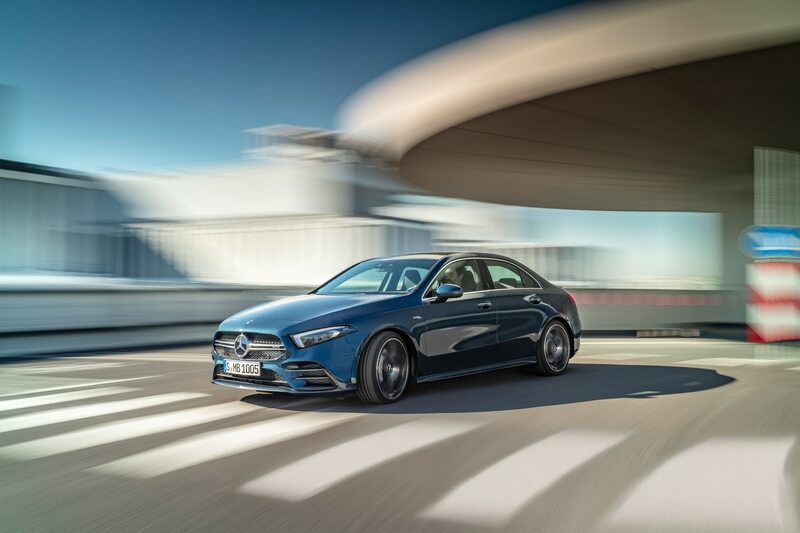 The A35 (and presumably the eventual A45) gets a seven-speed dual-clutch automatic transmission and standard 4Matic all-wheel drive; Mercedes claims it will scoot from zero to 60 mph in 4.7 seconds, although it’s likely to be even quicker in practice. 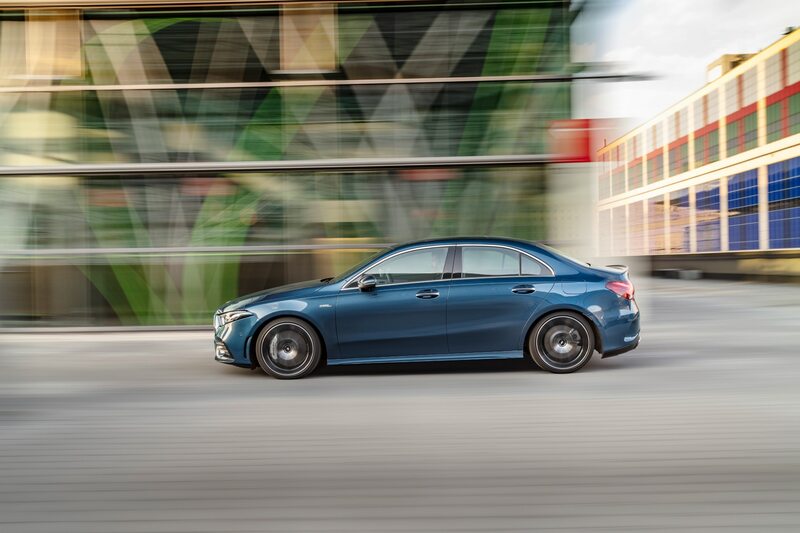 The chassis is upgraded with an aluminum stiffening plate underneath the engine and a firmer, AMG-tuned adaptive suspension with more aluminum components, while the all-wheel-drive setup uses an electromechanically clutched rear differential to send up to 100 percent of torque to the front axle or 50 percent to the rear. 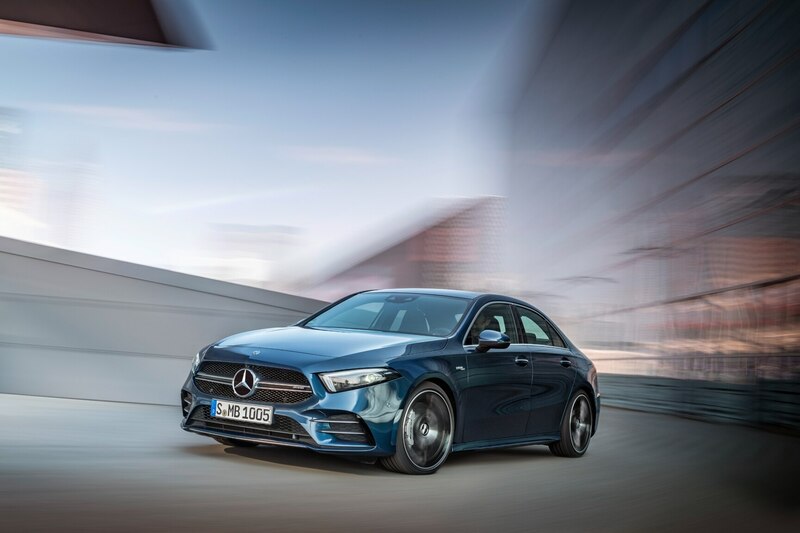 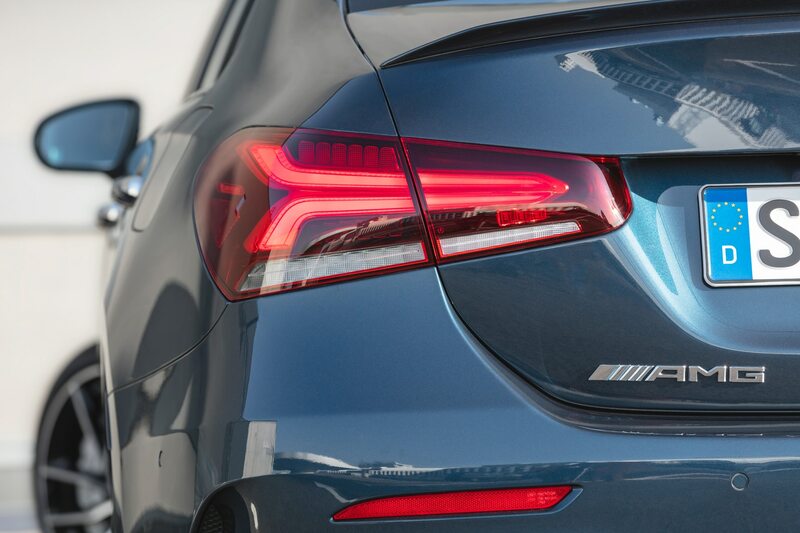 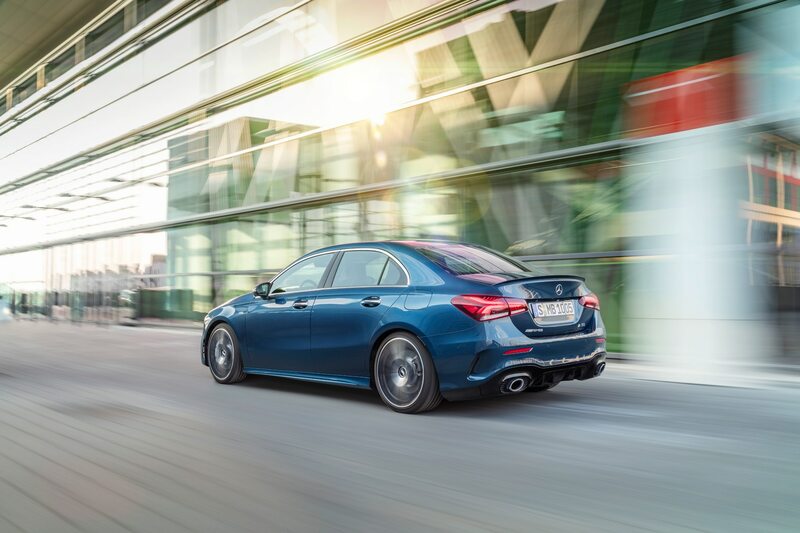 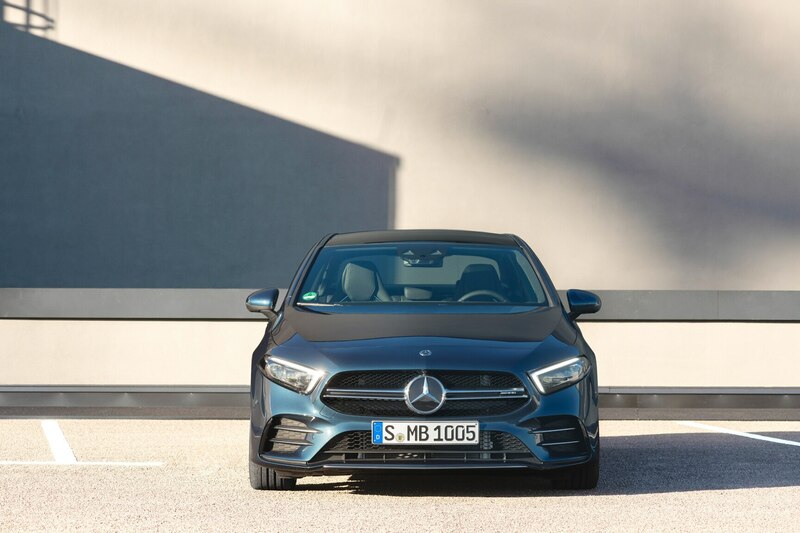 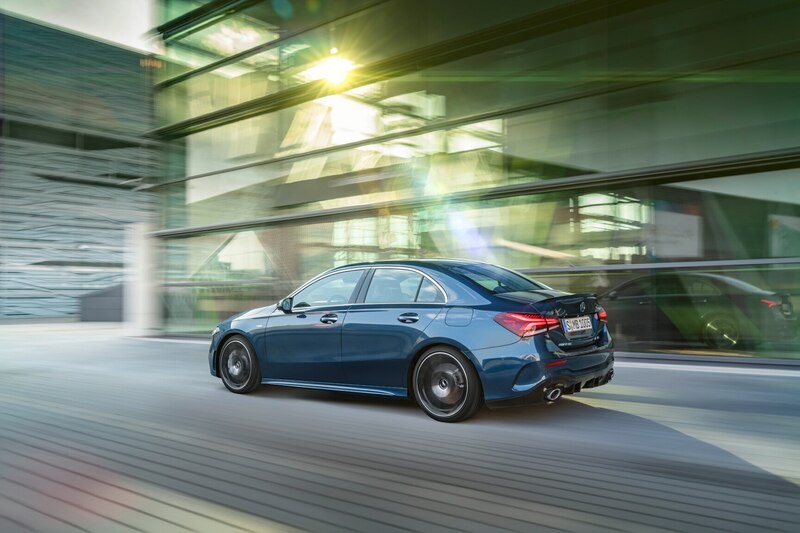 The transmission adds a Race Start launch-control function, and the A35 features AMG Dynamics, a layer of software on top of the normal stability control that works within the chassis modes to deliver even sharper handling and brake-based torque vectoring. 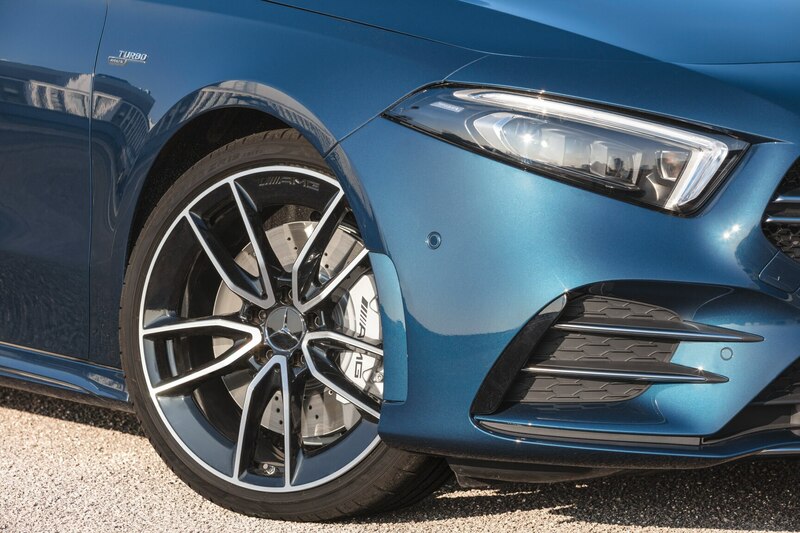 The brake setup incorporates four-piston monobloc calipers pinching 13.8-inch rotors up front and single-piston sliding calipers and 13.0-inch rotors out back. 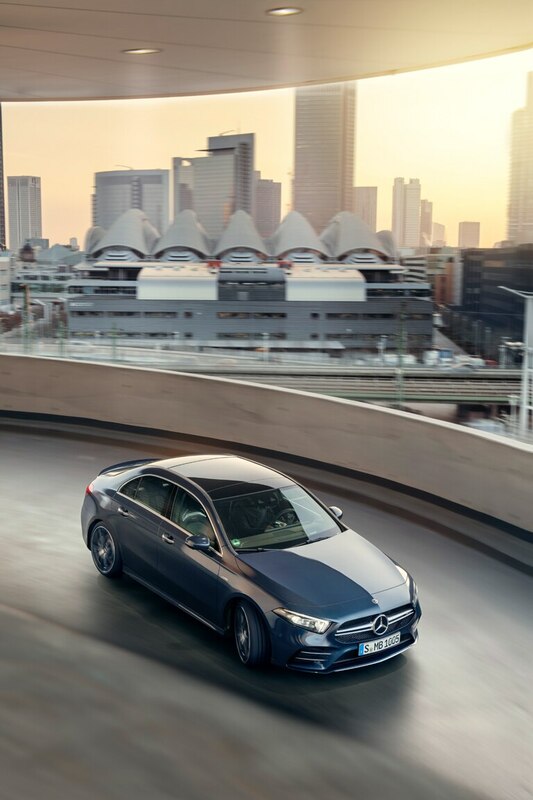 The chassis modes are Comfort, Sport, Sport+, Individual, and a brand-new Slippery mode for icy driving conditions that reduces power and flattens the torque curve. 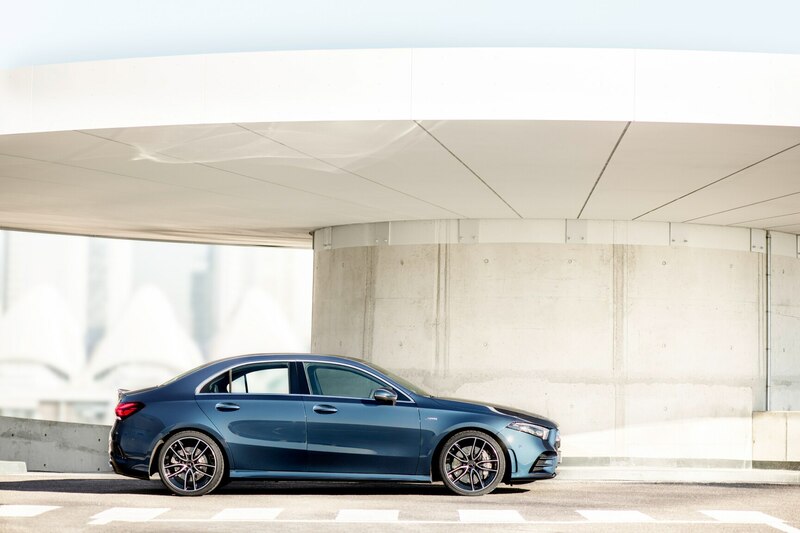 Outside, the front of the raucous four-door sports a grille with twin louvers, a unique front splitter, and chrome trim, while the rear gets a new diffuser, a trunklid spoiler, and round exhaust finishers. 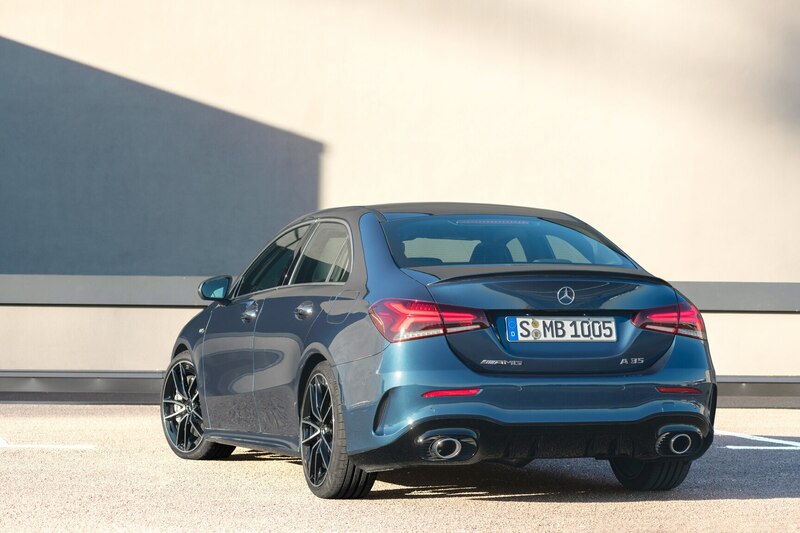 It rolls on 18-inch, twin-spoke wheels as standard, while 19s are optional. 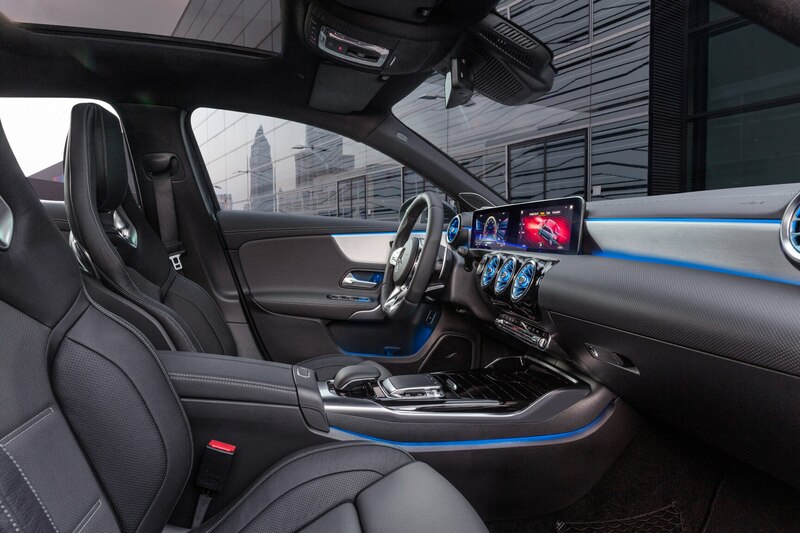 The five-passenger cabin features a flat-bottom steering wheel (that can be upgraded further to one that incorporates a drive-select knob) and the latest in Mercedes infotainment, namely the nifty dual-screen MBUX system with its onboard digital assistant, digital instrument cluster, and high-res graphics. 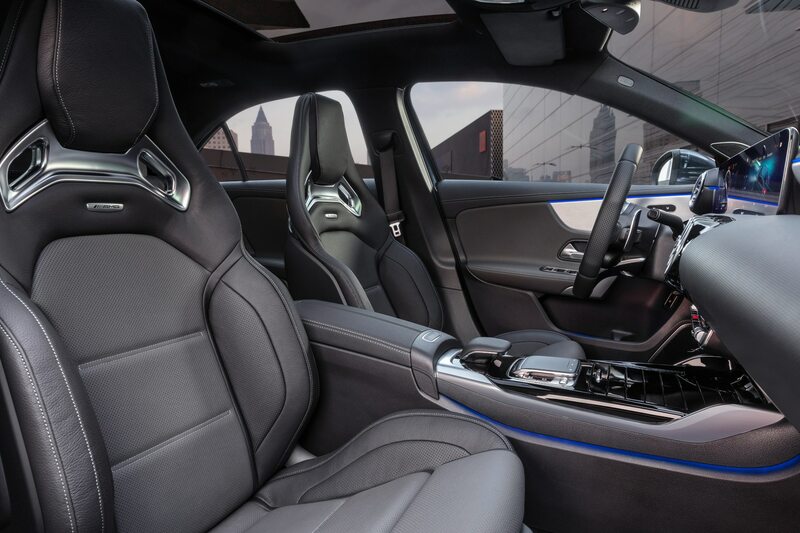 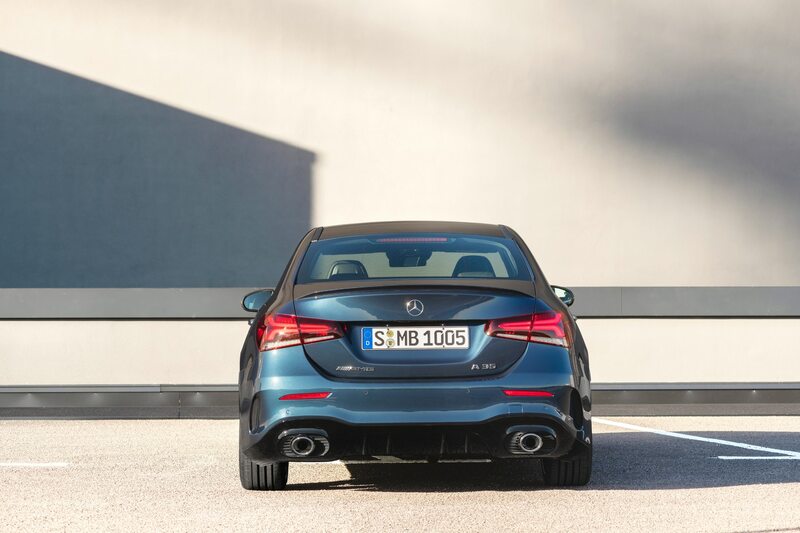 It also includes AMG-specific displays like lap telemetry, lateral acceleration, and engine performance. 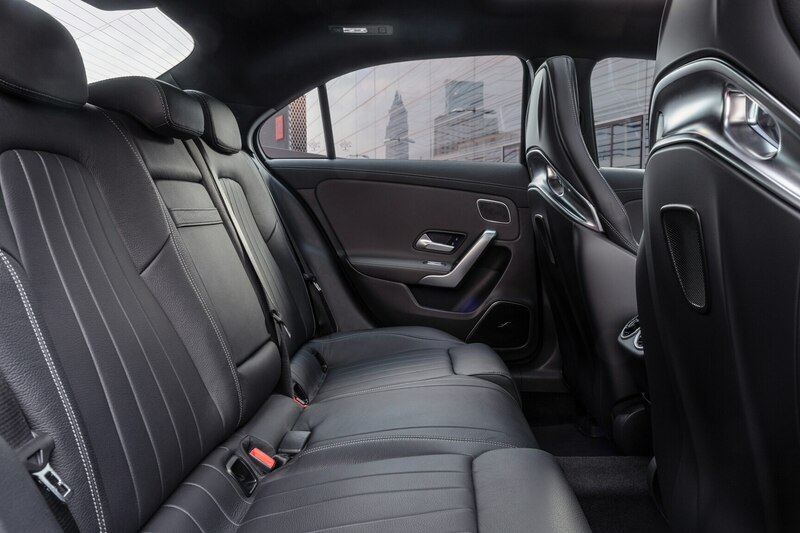 Upholstery choices include black faux leather and microsuede with red accents or real black hides with gray accents. 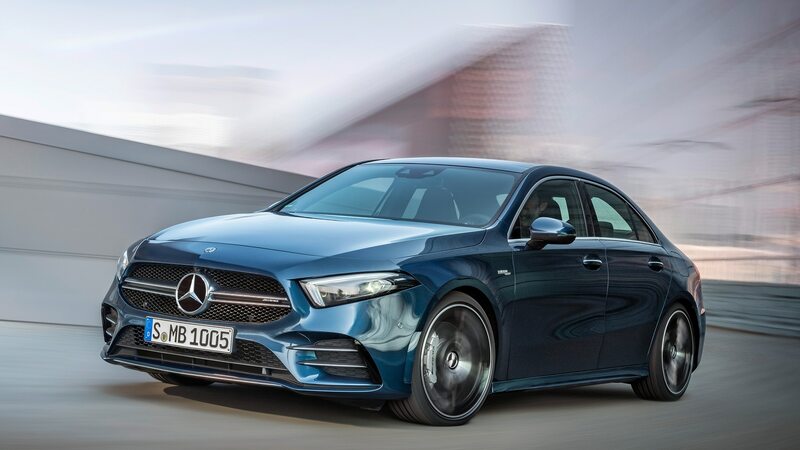 Optional packages to be offered include an AMG Aerodynamic bundle that brings a larger front splitter and dive planes up front and a bigger spoiler out back. 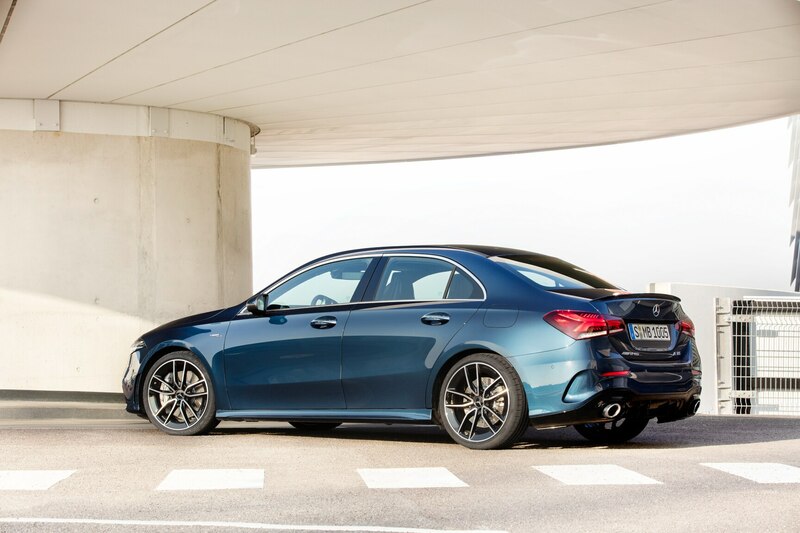 The AMG Night package darkens the trim and tints the windows for a more menacing look. 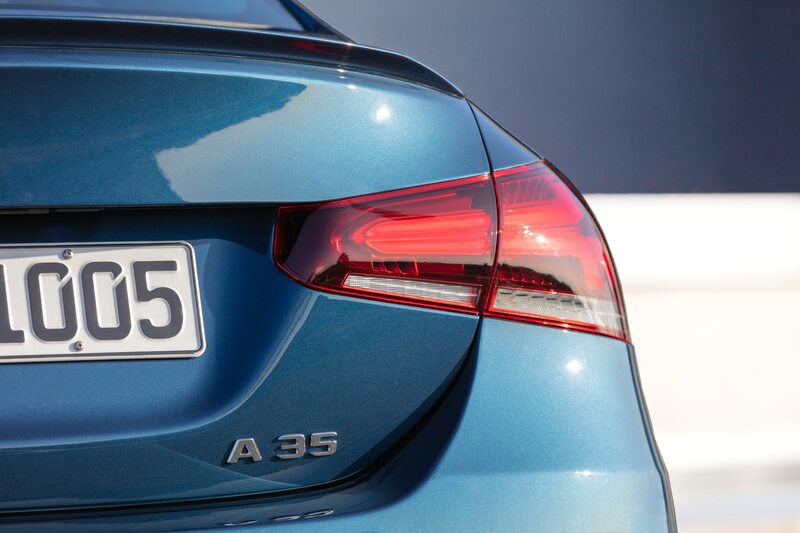 Pricing for these options and the car as a whole will be announced closer to the A35’s on-sale date later this year. 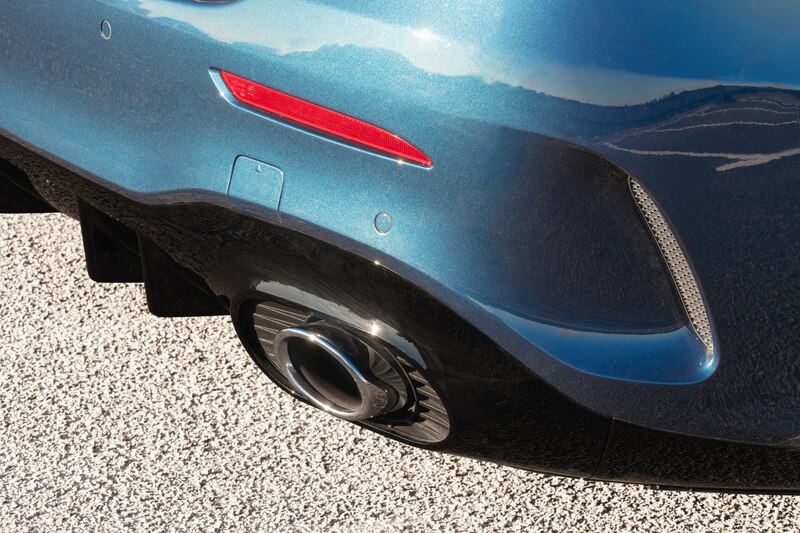 The automakers may also collaborate on automated-driving tech.